How do I request an Emergency Backup Restoration? Our system maintains regular backups of all customer data for disaster recovery purposes. While we keep these mainly for our own use, we can attempt to accommodate customer requests in the rare case that your own self-managed backups do not contain the data you need. (mt) Media Temple provides NO GUARANTEE that the data you need will be available. We encourage all customers to maintain their own backups. We offer this service only as a last-resort measure to customers who have exhausted all other means of retrieving their data. In the event that we cannot recover the requested data, there will be no charge. Otherwise, there is a one-time fee of $79 that will be charged for this service. 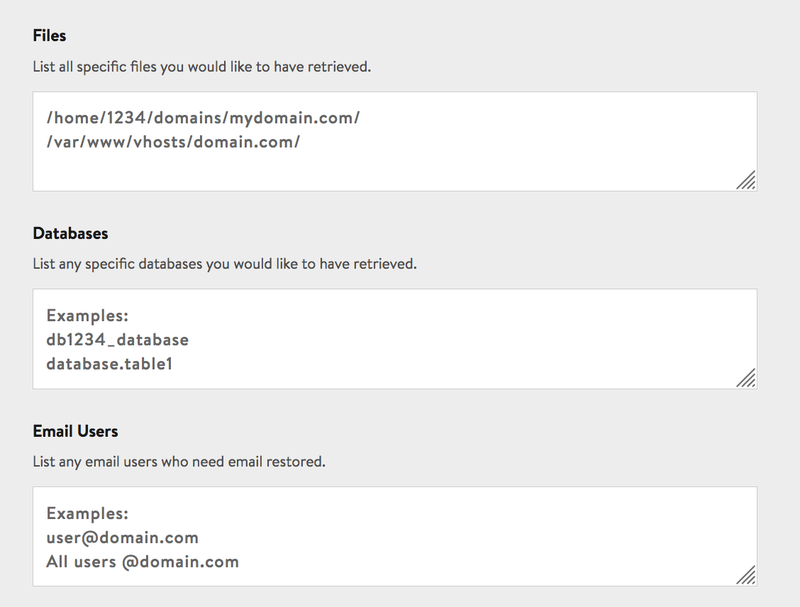 This data restoration is only for the files, databases, emails, and/or site content you've specified in the request. Are you on the Grid Personal, Pro, or Elite? If so, there is a free 30-day backup restore feature built-into the File Manager. If you'd like information on how to use this feature, feel free to click here. Log into your Media Temple Account Center. Click on the blue Admin button next to your server. 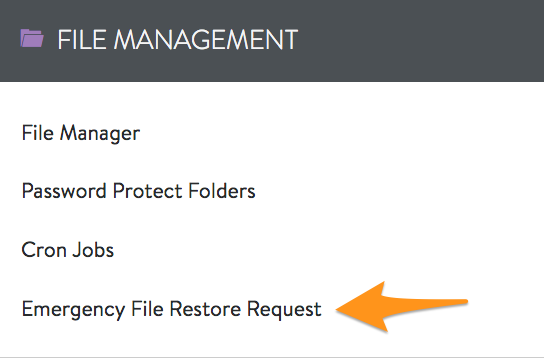 Click on Emergency File Restore Request. From the drop-down menu, select the service you want to request a backup for. Choose the date and time you want the backup to be pulled from. Add additional details like specific files, databases, or users. Add any additional notes in the Notes/Extra field. Be sure to read the terms of the Emergency Backup Restoration. Once you have done so, check mark the acknowledgment box and select Order Restoration. 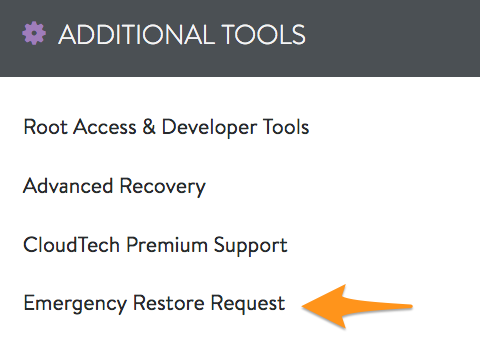 Emergency email recovery is not available on the Managed WordPress service. We strongly recommend maintaining regular backups of your email using a third-party client.